The Brickyard Grand Prix 2012 was held on July 27th at the Indianapolis Motor Speedway. The 9th of the 13-race series, 24 cars took part of the event on the 2.5 mile course. Because it had been some time since an event was held at the Indianapolis Motor Speedway, the track was a bit slippery when rain began falling. This caused a few of the cars to spin out and fans to hold their breath. The Rolex Brickyard Grand Prix 2012 race winners were Formula 1 driver Sebastien Bourdais of Le Mans, France and his teammate Alex Popow of Lecheria, Venezuela driving the #2 Starworks Motorsport Ford Riley. In celebration, the duo kneeled down and kissed the Brickyard bricks, their trophy between them. With Rolex as the prime sponsor, the official watch of the event was the Rolex Daytona Cosmograph, an adventurous timepiece that comes equipped with an exciting mix of technologies such as automatic winding technology, Rolex Chronograph, 44 jewel movement, and a sweeping second hand for effectively measuring time. The Rolex Daytona Cosmograph was named after the Daytona Speed race in the 1960s and continues to be among the most popular luxury watches associated with professional racing. Without a doubt, the most sought after Daytona Rolex model is the “Paul Newman” or the vintage Rolex Daytona 6263 and Rolex Daytona 6265. There were few Rolex Paul Newman watches manufactured, which makes it one of the most rare vintage Rolex watches on the market. 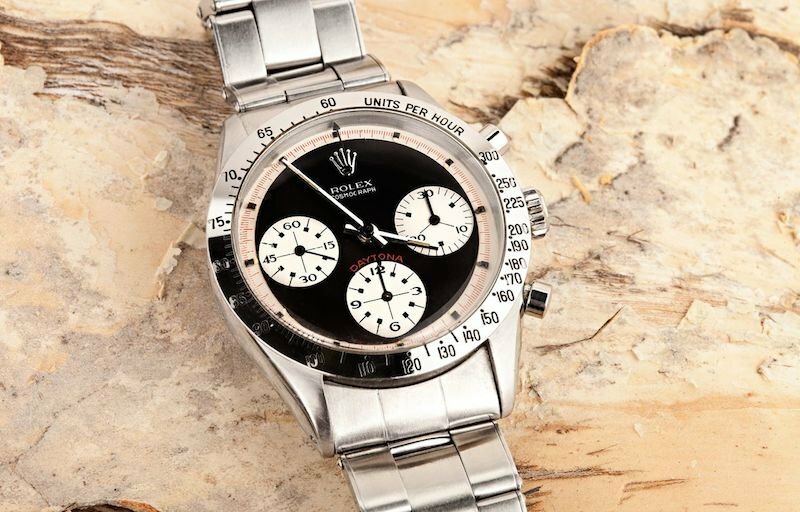 Rolex Daytona Paul Newman 6239 is a watch that is highly coveted to those involved in the Grand Prix. Because of the popularity of earlier Rolex Daytona models, newer models including the pre-owned Rolex Daytona 18k Mother of Pearl, also known as the Rolex Daytona 116528 hold amazing value. Both professional race car drivers and race fans alike seek out Rolex Daytona’s as their everyday watch. There are for more Grand Prix GRAND-AM races left in the season, which are sure to inspire race fans around the world. Stay tuned for more racing news, and dare to learn more about the Rolex Daytona by Googling Rolex Daytona history and Rolex Daytona reviews.